Dynamics & Motivations. Price fluctuations influence market dynamics, according to the UNODC. For instance, the rise in poppy cultivation between 2005 and 2009 translated into an increase in supply, which in turn helped to bring about the gradual decrease in the price of opium. Similarly, a decline in the amount of opium poppies produced in 2009-2010 contributed to rising poppy values and greater cultivation in 2011. Other factors are also reportedly at play. 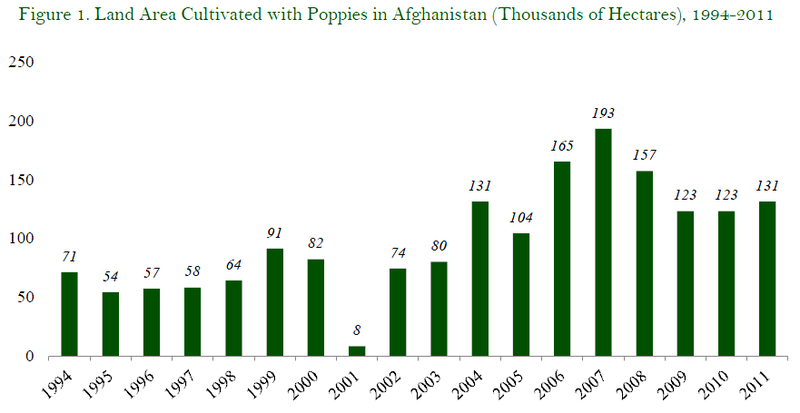 For instance, a World Bank report on “Drugs and Development in Afghanistan” says that poppies are attractive to some farmers because “there is working capital financing available at all stages, as well as credit and other inputs for producers.” The same report notes that many poorer households are obligated to grow poppies by landowners and creditors to enable them to pay off debts. The Institute for War and Peace Reporting further indicates that many Afghan farmers are in fact compelled to grow this crop by insurgent elements through threats and intimidation. Who Benefits? Numerous people benefit from the poppy cultivation business and from related narcotics processing and trafficking, according to the World Bank. However, the benefits are far from evenly distributed among groups involved in the trade. The World Bank notes that farmers with limited amounts of land, most of whom are involved in sharecropping, benefit the least while farmers with capital resources and significant landholdings receive greater income. Small-scale opium traders also benefit, though their income is eclipsed by that accruing to wholesalers and refiners who arrange transport and processing of raw materials into opium and heroin. The Chr. Michelsen Institute notes that the proceeds of poppy cultivation and narcotics trafficking particularly benefit a small group of warlords. The Taliban and other insurgent groups also reportedly receive income from poppy cultivation, hashish cultivation and narcotics trafficking. 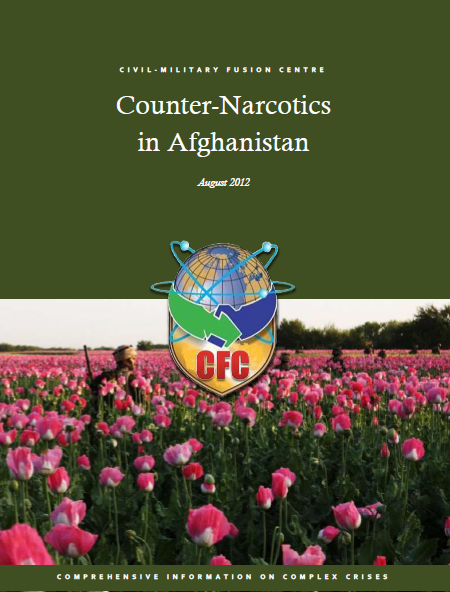 The World Bank’s report on “Drugs and Development in Afghanistan” says that insecurity in parts of Afghanistan during the course of the past 11 years has facilitated poppy cultivation and that opium has provided a “ready source of cash” which has financed the purchase of weapons and other items necessary to sustain the insurgency. Furthermore, UNODC’s report on “The Global Afghan Opium Trade” says the Taliban receives approximately 10% of the value of opiates being transported by traffickers. Given that the total value of the heroin trafficked to Iran and Pakistan was estimated to be approximately USD 700 million in 2009, UNODC says approximately USD 70 million may have been paid to the Taliban as tax on transport alone. Poppies and narcotics reportedly also contribute to the insurgency’s financing in other ways.